For years, we have driven through Jacksonville without stopping to visit. So, when I finally went last month, I looked for budget stretchers to add fun to our vacation without having to spend much at all. 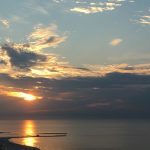 Jacksonville is a budget-travel goldmine! HA! 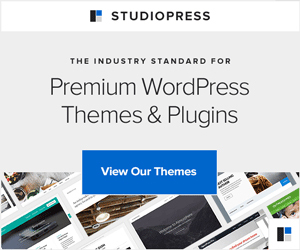 Funny — budget travel… goldmine. Am I the only one who found that funny? If Florida is on your wishlist, but you’re not sure you can afford those luxury oceanfront towns, then Jacksonville is the destination for you. Here are 10 free things to do in Jacksonville. 1. Tour Sally Corporation, an animatronics and production company based in the city. In plain English, Sally Corporation partnered with Six Flags Over Texas to create the new 4D attraction Justice League Battle for Metropolis. Yeah, that’s cool. I don’t know a kid or teen who wouldn’t love to see this lab! Tours are offered on Tuesdays and Thursdays, hourly from 9:00 to 1:00, year-round except July and August. Advanced reservations are required. Open to everyone ages 7+. FREE! 2. See the city by Skyway. Yes, the Jacksonville Skyway is free. With stops throughout the city, explore downtown Jacksonville effortlessly. Or beat the heat (or rain) and ride the skyway, a great way to see this city of bridges! Click on the website for a downloadable route map. The Skyway runs Monday through Friday from 6:00 a.m. to 9:00 p.m. On weekends it runs for special events only. 3. Enjoy the water at South Beach Park and Sunshine Splash Pad. With a year-round children’s playground and seasonal splash pad, kids can burnenergy while parents relax nearby. Other amenities include a fitness trail, basketball court, tennis court, volleyball courts, grill and picnic areas. Pack the picnic basket and enjoy a day at the park for free! Travel Tip: When traveling with young kids, over scheduling can bring out the crankiness. Scheduled a relaxed day mid-trip to let kids burn off built up energy and just “be kids.” One of my favorite memories from our first family vacation was my son’s delight at swinging in a neighborhood park near our hotel. His grin told us quite clearly that our park day was his favorite! 4. Soak in the fun at St. Augustine Splash Park. A short drive south of Jacksonville, this park is a great place to wear the kids out after a day of site-seeing. The park offers a fishing pier, volleyball courts, shaded pavilion and 4 acres of splash park fun. 5. Build a castle at the Jacksonville Beaches. 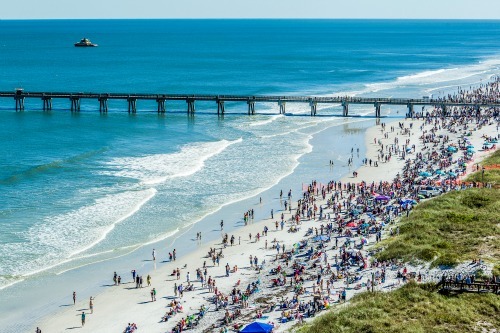 Of course, the beach should be included on Jacksonville’s 10 best list. The wide beaches are the perfect place to relax with family. Besides the sand and surf, learn how to stand-up paddleboard (SUP), go kayaking, and enjoy other water sports as well. Of course, the beaches are open daily and are free! Location: Click here for a map of the area, including parking lots (nominal charge in summer) and other parking options. 6. Explore history Kingsley Plantation at Timucuan Park. The plantation was founded by Zephaniah Kingsley who moved here with his wife, Anna (a freed slave) and three children. Their plantation produced cotton, citrus, sugar cane and corn. Kingsley and his wife actively managed the plantation, where Anna had her own land and slaves. Visitors can explore the slave quarters, barn, waterfront, house (weekends only), kitchen house and gardens. This unique park, which explores slave history and plantation history, is open daily from 9:00 a.m. to 5:00 p.m., except Thanksgiving Day, Christmas Day, and New Years Day. Admission is free. Call ahead to (904) 251-3537 to reserve a house tour. 7. Learn about Florida’s heroes at the Jacksonville Fire Museum. The museum tells the history of fire fighting in Jacksonville and throughout the state of Florida. Exhibits include photos from the Great Fire of 1901 and restored antique fire trucks. The building itself was placed on the National Registry of Historical Monuments in 1973. It has been lovingly preserved at Jacksonville’s Metropolitan Park. Hours are Tuesday through Saturday from 9:00 a.m. to 4:00 p.m. Admission is free. 8. Explore nature at the Jacksonville Arboretum & Gardens. This 120-acre park provides woodland trails for families to enjoy. The trailhead starts at the parking lot. A walkway circles the picturesque lake, where signs and labels provide information on plant species. Rustic hiking trails wind through a variety of ecological habitats to provide even more opportunities to explore. Visit the website for trail maps, special programs and events. The park is open daily. Admission is free except for special events. 9. Discover art at the Jacksonville Art Walk. This privately funded program is held the first Wednesday of each month from 5:00 p.m. to 9:00 p.m., rain or shine. The Art Walk includes 40+ galleries, museums, restaurants, bars and other businesses to promote art and community. Dozens of artists display their talent in Hemming Park as street performers and live musicians provide free entertainment. Admission is free, including parking at the LAZ parking garage. 10. Enjoy Tuesdays at the Cummer Museum of Art. This center is meant to preserve beauty and culture “for all the people.” The collection began with 60 works provided by the founder and now includes 5,000 works ranging from 2100 B.C. to the present day. Some of the more well-known artists include: Peter Paul Rubens, Winslow Homer and Norman Rockwell. Outdoor, sculptures are on display throughout the center’s gardens. The museum is open Tuesday through Sunday (closed Mondays). Hours and admission prices vary with FREE admission to all on Tuesdays from 5:00 to 9:00 p.m. and the first Saturday of every month. Other groups can get free admission at other times. See the website for specific hours and ticket prices. Closed Thanksgiving, Christmas and New Year’s Day. Travel tip: Visiting museums with kids can be a challenge if kids don’t know what to expect. The Cummer Museum has put together a great list of tips for visiting museums that would work at any museum, not just an art museum. 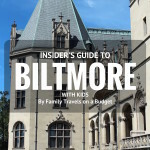 Click here for great tips on visiting museums with kids! 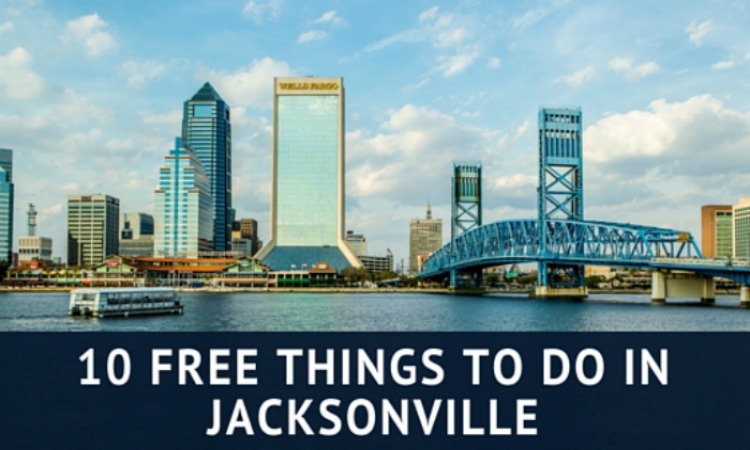 Would you add anything to this list of 10 free things to do in Jacksonville? What’s best in your book? Weekend in Columbus: Jam-packed with family fun!